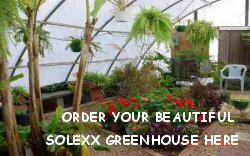 Building your own greenhouse can be an exciting, rewarding and worthwhile project. For best results, take plenty of time to plan and think about what you need and how best to provide it. 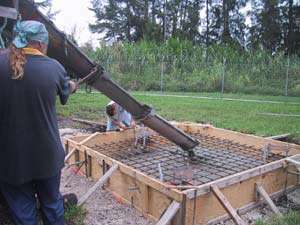 We present more specific food for thought on this page for the DIY greenhouse builder. We hope you find it helpful. The lightweight plastic greenhouses, such as hoop-style, will not need a permanent base installed. In fact, some plastic greenhouses can be pitched right over grass turf and tied down with anchors. This works best with a few inches of gravel spread inside to provide good drainage for excess water. Water can also be sprayed on the gravel to increase the humidity and help cool things off in hot weather. If desired, boards can be laid on top of the gravel in the aisles to make a smooth walkway and allow wheeled garden carts to be used. For a more professional and finished appearance (and easier to clean floor surface) put down traditional greenhouse tarp flooring. This allows water to drain through but it can actually be swept clean. We offer high-quality greenhouse flooring here. Proper ventilation and air circulation is a basic necessity for all professionally built or DIY greenhouses, large and small. The ongoing exchange of inside air for outside air is crucial for humidity and temperature control and should be planned carefully before construction begins. Small greenhouses can sometimes get by without fans. Proper placement of intake vents near the floor and exhaust vents at the ridge or upper wall can sometimes provide all the air circulation needed. Warm air rises naturally and exits out the top, drawing cool air in through the bottom vents. There are also solar operated vents and vent-openers which automatically open up when it gets too hot. Read about these nifty devices here. 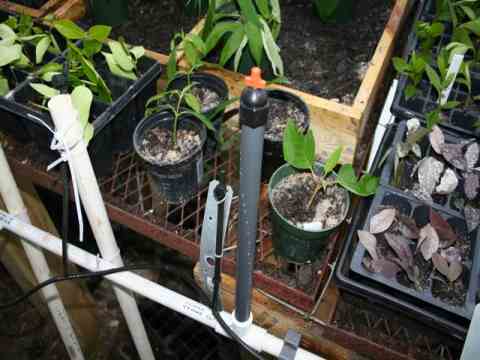 In all greenhouses, the best option is to use fans to facilitate air exchange. Although passive ventilation can suffice in some instances, exhaust fans are always a beneficial upgrade. The recommended size for an exhaust fan is: strong enough to exchange the total volume of air in the greenhouse in one minute. 2. Multiply that by height (usually 8 feet). This gives you the total cubic feet of area. 3. Since fans are rated by CFM (cubic feet per minute), you can easily match up your cubic greenhouse area to the appropriate fan CFM. Large greenhouses need multiple fans. 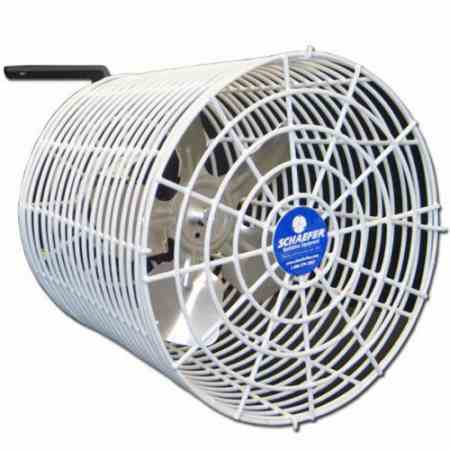 We offer some nice greenhouse exhaust fans here: Greenhouse Accessories. 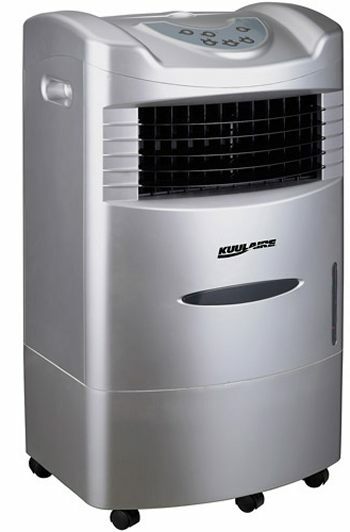 Use the fan on low setting in the winter, medium in the spring, and full speed in the summer. Aside from exhaust fans, oscillating or circulating fans are great for inside the DIY greenhouse. Without constant gentle air movement over the plants, the air becomes stagnant and the plants may actually suffocate by not getting fresh air. In the winter, the circulating fans help stir the air so that all of the warm air is not at the top and cold air at the bottom covering the plants. This helps moderate the temperatures during the winter. Hey, wanna see some cool DIY greenhouses? In warmer climates, ventilation alone may not keep it cool enough inside the greenhouse (90°+). In this case, you may have to add some extra cooling measures: shade cloth on plastic houses or temporary paint on glass panes. Another popular option for cooling larger greenhouses are package evaporative coolers. These roll around on wheels and are like portable air conditioners; however they don't cool quite as efficiently. They are a reasonably priced method that can make the difference between plants thriving or dying. Evaporative coolers work best in low humidity climates, but do help some in any climate. Whether or not your DIY greenhouse requires supplemental heat depends on many factors. Are you planning on using the greenhouse in the dead of winter? Or do you plan to cease operations when cold weather socks in? How cold does it get in your location? If you live in the deep South, Florida, Texas, California, you may get by without a heater by using a passive solar technique known as a heat sink. See passive solar greenhouses. However, if you plan to have a year-round greenhouse and live where it gets frigid in the winter, you will likely need supplemental heating. Although the there are many choices, you could use gas, oil, woodburning, or steam heat, the preferred method for home greenhouses is electric radiant heaters. Heaters that burn fuels must be properly insulated for fire safety and vented to the outside. Electric radiant heat is safer and does not produce toxic fumes. That being said, there are advantages to using gas heat for greenhouse. One of which is no interruption of heat in a power outage. Here is one high efficiency gas-fueled radiant heater which does not require venting to the outside: Non-vented Greenhouse Heater. Your choice of a heating system may well depend on what's available locally at reasonable cost. Safety controls, cut off switches, safety pilots, and carbon monoxide monitors should be used. 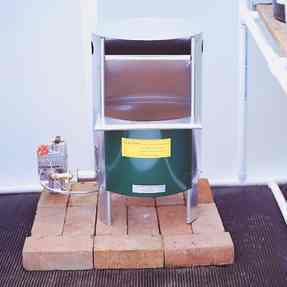 Kerosene heaters should never be used in a greenhouse. It really would be foolish to not start out with insulating glazing panels. Any double-walled glazing would provide much more insulation than single pane material. The layer of air sandwiched between them is what does the trick. 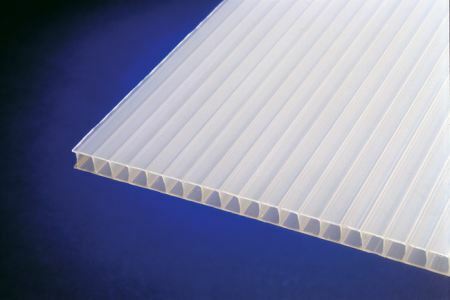 So please plan on either double paned glass or twin-walled polycarbonate or plastic. As far as the other parts of the frame, all solid walls, kneewalls and framing members should be stuffed with maximum insulation wherever possible. There are also some insulated shutters which are removed during the day and placed over the glazing at night. As you might imagine, this can be quite a chore, but beats the high cost of supplemental heating. Does a greenhouse kit make more sense? After you add up all the expenses of building a DIY greenhouse, don't forget to add skilled labor and professional fees for all portions of the project you are not capable of yourself. You may find that the bottom line cost is pretty close to a complete, easy to assemble greenhouse kit. Check out some greenhouse kit options here. Of course, you must have access to water in your greenhouse. It may be simple, such as running a garden hose, or hand carrying buckets of water. Or you could assemble a simple PVC run to provide water right to the DIY greenhouse. There are several different types of automatic irrigation systems available that are simple to put together and automate watering tasks for you. Another option is an automatic misting system to raise the humidity inside the greenhouse. Most hydroponic systems use timers and pumps to automate the flow of nutrient solution to the plants. However, this setup could be easily adapted to solar power [Bookmark this site, we are working on plans for a completely electricity free hydroponic DIY greenhouse]. Alternatively, you could create a large, effective ebb and flow system which relies solely on hand power. This involves raising and lowering the drain bucket 2-3 times a day; either by hand or using a pulley set up. So it is possible to have a hydroponic system that is not reliant on electricity, and could still function during times of low solar energy production. Essential if you are planning a survival greenhouse. As you probably learned in high school biology, plant respiration is the opposite of human. Plants take in CO2 and give off oxygen as a waste product. A greenhouse full of plants can quickly drop the CO2 level. This is why ventilation is so essential, to bring in fresh CO2. It is possible to add supplemental CO2 by using bottled CO2 or dry ice. Large commercial greenhouses often use these systems to enhance optimum production. Why not for your DIY greenhouse? 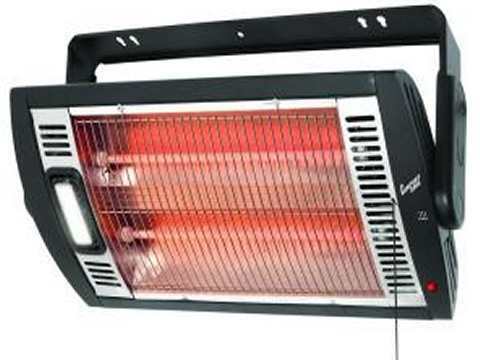 There are even specialty heaters which give off CO2 and water vapor as byproducts! We sell one here: Greenhouse Accessories. Now why would you need supplemental lamps in a DIY greenhouse? In a situation where the plants do not receive 6-8 hours+ of full sunlight daily, supplemental lighting should be provided. Or it can be used to simply supercharge plant growth and achieve maximum production. You might face low-light conditions if your greenhouse is shaded during certain times of the year by trees or other obstacles. Or during long winter months, when sunlight is simply hard to come by. We offer a nice HID lamp kit at a great price here: Growing Lights. 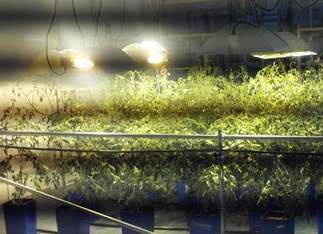 High Intensity Discharge or HID lamps have been used for many years by commercial greenhouses. Reasonably priced HID lamps are now available for the hobby greenhouse grower. In some climates, adding lamps is the only way you could have a year-round-greenhouse. Plastic or Glass? You decide.